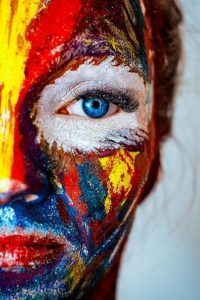 Concealer is one of the core components of painting on someone’s face. Anyone who has worked with makeup or has done face painting Perth knows it’s going to be useful in a number of scenarios. However, it also means there are more than a few ways to get it wrong. That’s what we’re here to cover. We’re going to look at the most common mistakes people make when using concealer, so they can correct them! The big mistake is that you might be applying too much, in too short a span of time. Loading a lot of concealer at once, rather than a gradual buildup, will make the skin appear overdone. Doing this quickly will also make it hard to judge whether you’re concealing what you’re trying to cover. What you want to do is to blot on little by little, taking time to add more. Don’t use a colour that’s too light. Doing so just makes the blemish easier to spot. You might be tempted to skip exfoliating the skin. Don’t; this isn’t advisable. While you’re at it, keep in mind to blend the concealer into the rest of the skin to make the effect more natural. A lot of people skip the primer. This is a mistake! You want to use the primer first because it gives the skin a smooth finish when it’s all said and done. The primer also helps even out the texture, so the concealer and even the face paint don’t end up uneven due to the “terrain” you apply them on. Don’t apply the products in the wrong order. This is both makeup and face painting 101, so learn it. When painting a face, your first move should be the primer. After that, you apply the foundation. The concealer is the one that comes last before you start painting. A lot of people end up applying the concealer before the foundation, which wastes time with a lot of rubbing. Finally, the biggest error people make would be the use of dirty tools. It’s something that you should never allow to happen. Brushes are the most basic tool you have. If you’re using dirty ones or if you just forget to clean regularly, you’re making a huge mistake. You might end up spreading small bits of debris or bacteria all over your “work area.” It’s important to wash the brushes once a week, at the minimum.